There’s still a chill in the air but you’ve got a mountain of washing that needs to be dried. You can’t really hang it outside on the line when the weather is so changeable, so what do you do? Chances are, your go-to response is to hang the washing on your radiators and let the central heating dry them, but this seemingly harmless solution may actually be causing you more problems than you know. 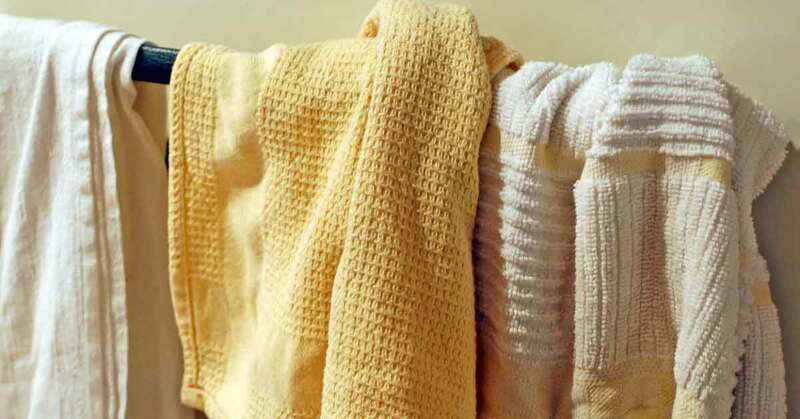 When you hang wet clothes on a radiator or clothes horse to dry, the water evaporates out of the fabric, where it turns into moisture in the air. Too much moisture in the air leads to condensation, which can form on walls, windows, mirrors or any other surfaces which the damp air comes into contact with. Modern homes are often highly susceptible to condensation, as improved insulation, draught-proofing and double-glazing mean that, while they retain heat better, air ventilation is poor. This leads to stale air and trapped moisture, which can be both unpleasant and unhealthy. 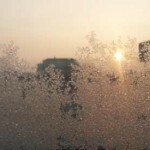 Our article How can I prevent condensation on the insides of my windows? is full of handy tips to prevent condensation in your home. The additional moisture in the air from drying your clothes inside can lead to damp conditions in your home, which could in turn lead to mould growth. Black mould can cause health problems, particularly of a respiratory nature, as it releases spores into the air which are then breathed in. It can also cause damage to your home, starting with staining paint and wallpaper, which may start to blister or peel. If you have particularly bad problems with damp and mould it can even cause walls and plaster to rot, and getting it put right could set you back a few hundred pounds. If you’re unfortunate enough to end up with dry rot, this can greatly affect the structural integrity of your home and may cost thousands to repair. 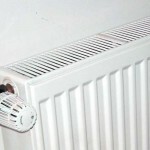 It is also important to consider the negative effect on your heating bill if you use radiators to dry your clothes. A layer of clothes draped over a radiator will greatly reduce the radiator’s efficiency in heating up the room, which is its primary function. Using wire clothes airers designed to hang on the radiator will improve the efficiency, but will still result in an obstruction which stops the heat from making its way into the room. In addition to this, the extra ventilation which you will likely require from adding to the water vapour in your home will make your house colder, letting that warm air that you’ve paid to have heated escape. 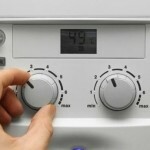 While you may think that it’s beneficial to make use of the warm radiators which are already on instead of the separate running costs of a tumble dryer, it’s worth weighing up the costs of the extra heating that you’ll require, along with any repair or redecoration work which may arise from condensation and mould. An A-rated tumble dryer will cost around £30 per year to run, while a C-rated dryer will cost around £100 for a year. 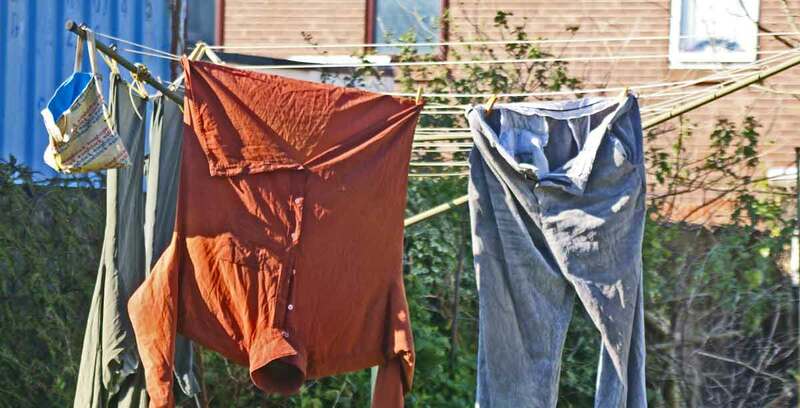 If the weather allows it, drying your clothes on a washing line outside is a great option, as it allows the water to vaporise directly into the outside air, rather than getting trapped in your home. A tumble dryer is a proven alternative, though they can be costly if they are frequently run. In order to minimise the risk of condensation from your dryer, make sure that it is properly vented to the outside so that steam does not form in your home. Alternatively, consider purchasing a condenser tumble dryer, which does not require plumbing or venting as it condenses the water within its own internal tank, which can then be emptied down the sink. If you absolutely must dry your clothes indoors, make sure to do so in a well-ventilated room and avoid covering up radiators. You should never use an electric radiator heater to dry clothes as this poses a significant fire hazard. 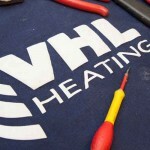 The experts at VHL are here to help with all of your central heating needs. Simply get in touch today for more information about any of our services.